Coming December 27-- The SuperPhillip Central Best of 2013 Awards! UPDATE: The awards have officially ended. If you missed out on the events, take a look at each night and see the results for yourself! It is with great excitement that we here at the old site announce that once again we will be ringing in the new year with an awards ceremony for various titles released throughout the year. It's the SuperPhillip Central Best of 2013 Awards, a celebration of all things gaming. We won't pretend we're representing gaming culture, nor will Joel McHale be showing up whatsoever. No, what you will see in our sixth annual end-of-year awards ceremony is games, games, and more games in an updated format than previous years have seen. Of course, we no longer will be covering every platform in the near future on this site, as evident by the lack of PlayStation 4 and Xbox One categories and nominees. Please look forward to our annual ceremony. There might be some surprises and games you didn't see coming winning some awards! The Wii U's November numbers according to the NPD were around 250,000. That is with a new 3D Mario game that just released, Super Mario 3D World. Now, one could argue that this was because the game wasn't a "true" 3D Mario like 64, Sunshine, or Galaxy. However, Super Mario 3D Land is the best selling 3D Mario anyway, so that argument falls short, as it does going off of the quality of World and it being a phenomenal game. However, what Nintendo faces now is a system that is selling historically low, performing worse than SEGA's Dreamcast and much worse than the "failure" that was Nintendo's own GameCube (which at least the company turned a profit on, unlike the Wii U currently, which Nintendo takes a loss on with each system sold). While I've gone into the abundance of reasons why the Wii U was disastrously mismanaged, we can add another reason to the list-- there's just way too much Mario. He's not the system seller that Nintendo thought he was for the Wii U.
Mario has turned into much more than an annualized series. Many compare the overuse of Mario with Call of Duty, but that's not a fair comparison. For one, Call of Duty doesn't have dozens of spin-offs that release each year (I have yet to see my awesome idea of Call of Duty Kart: Brothers United come into fruition), but secondly, it's not like each Mario game is a copy and paste of the previous title, like Call of Duty pretty much is. Mario games are very different from one another, save for the New Super Mario Bros. series, but the focus there isn't in a new mechanic but new and creative levels. I have to be fair here, after all. We're at a point in brand fatigue that even the greatest of Mario fans are tired of seeing the portly plumber plastered and shoehorned into every game imaginable because Nintendo is too scared of risk. Just for the past few years there has been Super Mario 3D World, Super Mario 3D Land, Mario Kart 7, Mario Tennis Open, Mario and Donkey Kong: Minis on the Move, Paper Mario: Sticker Star, Mario & Luigi: Dream Team, Luigi's Mansion: Dark Moon, New Super Mario Bros. 2, New Super Mario Bros. U, among others. To say that Nintendo is putting too much emphasis on Shigeru Miyamoto's creation is an understatement. We've never had this much Mario. It doesn't even matter that the majority of games are great. There's just too much, and it has weakened the series as evident by the low sales of Super Mario 3D World worldwide. 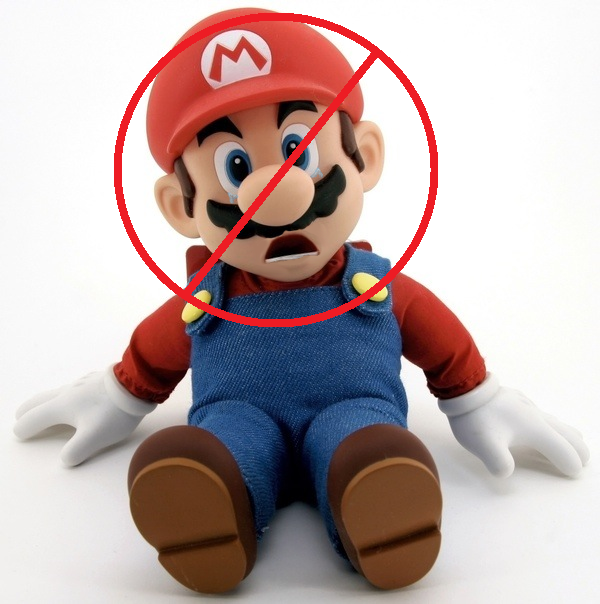 A lot of people just don't want Mario anymore, and that's totally Nintendo and its management's fault. 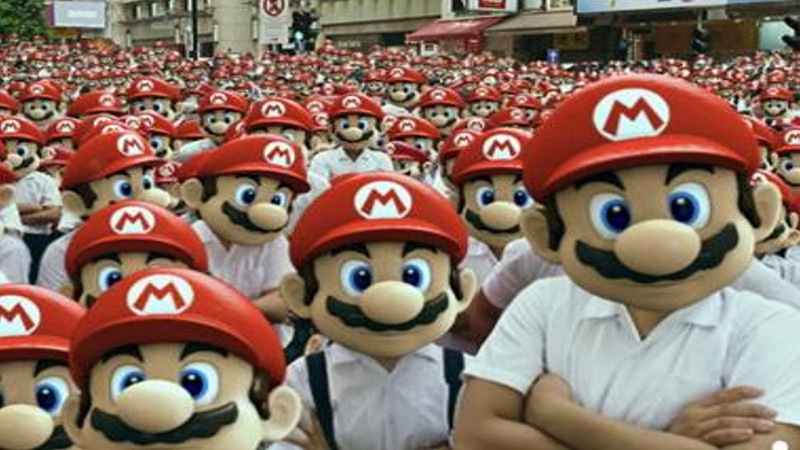 A Mario for every game that he's been in. That isn't to say that 3D World's lower than expected sales mean it's completely series fatigue that is to blame. No, the low sales are also a symptom of being on a failed console. Of course, many believed that Super Mario 3D World would be a killer app and system seller for the Wii U, and as we know by the NPD figures, that was not the case. In fact, not even the majority of preexisting Wii U owners bought the game. Just what are Wii U owners playing anyway, or do GameStops around the world have a plethora of used Wii U's sitting in their storage rooms? receive the sales that it deserved. Regardless, I'm not meaning to come across as wanting Mario to go away forever. I'm just suggesting Nintendo take Mario on a bit of a hiatus, as we know that absence makes the heart grow fonder. As it is now, despite all of the lower, middle, and higher quality games the series gives gamers, too much of a good thing is bad. Forgive me for another cliche colloquialism. Labels: nintendo, no more mario, opinion piece, super mario 3d world, super mario bros.
Our first review for the last month of 2013 is one of the retro variety. 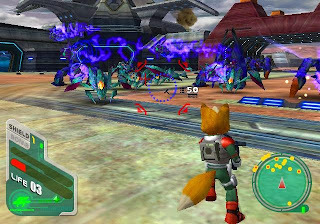 There is no rhyme or reason as to why we are picking now as the time to talk about Star Fox: Assault. Perhaps we're just itching for a new installment like many of you are. 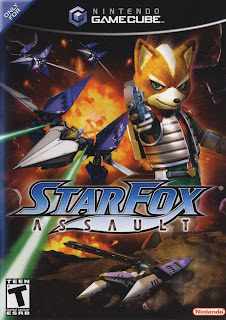 Regardless, here is our review of Star Fox: Assault for the Nintendo GameCube. What does the Star Fox say? "Report in." 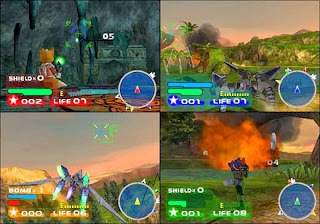 Star Fox: Assault features ten unique missions spread across the Lylat System. 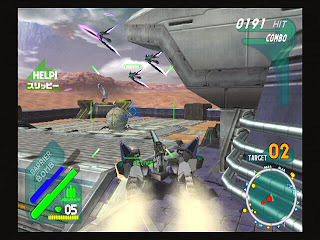 Unlike Star Fox 64, the missions are played in a linear structure, with no alternate methods to complete missions to take alternate paths to the final showdown. This time around the threat to the entire Lylat System comes from an insect-like menace known as the Aparoids, wishing to occupy the entire universe through assimilation of each and every planet and star around. Team Star Fox, now back together (with a change in lineup, as Peppy is now behind the scenes and Krystal is now a member), heed General Pepper and Corneria's cries for help. 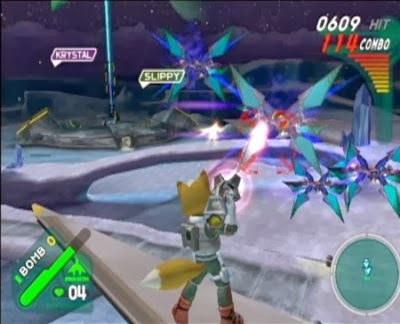 Fans who were disappointed that Star Fox Adventures did not have much in the way of the famous on-rails sections the series is known for might be in for a rude awakening with Assault. Of the ten missions mentioned, only three of them are played in the traditional on-rails formula that made the series so loved to begin with. There's still charging up your shot to home in on a group of bogeys, taking them all out in one blow for bonus points, plus there's points given for defeating a whole squadron of enemies, too. These sections of the game are the most chaotic, and that's in a good way. Flying through space with a gigantic fleet of ships surrounding you, bobbing and weaving through asteroids, and saving your squadmates are all actions that make these classic sections feel so awesome and are the best part of Star Fox: Assault. Now we're flying high in Fortuna? 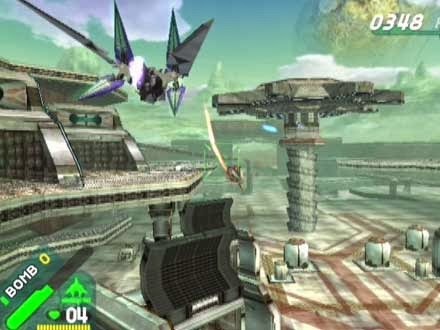 Instead, however, the majority of what players experience is several missions within a large arena, many of which allow Fox to alternate between being on-foot, being in a Landmaster, and/or being in an Arwing. The switching between vehicles is seamless, offering a quick change without interrupting a mission's flow. While the on-rails levels feel superbly polished and well done, the types of missions that take place mostly, if not entirely, on the ground feel more shoddily thrown together. That said, it was very gutsy of Namco to take the series away from its airborne roots and force the series to try something remarkably different. Though these aforementioned ground sections aren't the most graceful, their appearance do liven the overall package of Star Fox: Assault considerably. Playing as Fox in the ground missions turns Assault into a third-person shooter. In wide open areas it's quite easy to mow enemies down, switching between weapons with nudges of the C-stick left and right, and creating a string of combos that boost your score as long as you keep killing foes without the score gauge emptying. More powerful ground enemies must be dealt with with either a charged up blaster shot or heavy fire, as a blaster shot or machine gun rally alone won't even make a dent through their shields. Regardless, the problem with these ground missions is that even with three different control methods, aiming, especially at faraway targets is rather bothersome. There isn't a feeling of tightness in the aiming controls, making Fox susceptible to enemy attacks while you're trying to get a respectable shot in. Sure, Fox can sidestep enemy fire, but aiming is already difficult without moving. Just imagine how cumbersome it can be while on the move! Furthermore, it's all too easy to fall off structures-- sometimes even the levels themselves-- while dodging attacks. Despite the issues with the ground combat and missions, I still found myself enjoying them overall. Seriously, you guys, where's my on-rails action? One issue that is brought about through technical limitations stems from draw distance issues. This is most noticeable when one of your fellow Star Fox crew members is in desperate need of help due to a bogey being on their tail. (And trust me-- this will happen a lot, and annoyingly so.) Since the enemy that is on top of your troubled teammate won't come into view until Fox is close enough to the target. This means going far across a given map to rescue your fellow flyer and having multiple homing shots miss their mark because the target disappeared due to draw-in issues. Another issue with Assault is its length. Star Fox games were never known for their long duration, but the problem with Star Fox: Assault is that, unlike other games in the series, there are no branching paths. As stated, you just go through the ten missions and then the game is over. This takes but a few hours, if even. Still, each mission can be played in one of three difficulties, and medals can be earned for hitting certain scores. An unlockable version of the arcade classic Xevious can be enjoyed through getting all of the silver medals, for instance. Outside of that, there are five hidden flags in each mission, requiring some ingenuity and patience to uncover. For those looking for any semblance of true longevity in their Star Fox games, you should look towards the multiplayer mode. As this is a GameCube title not called Phantasy Star Online something, Assault's multiplayer is local only, with no bots available. Still, what there is of the multiplayer is quite fun, giving players both simple and complex maps to decimate up to three other players in. Maps are unlocked through story progression as well as through playing set amounts of battles. 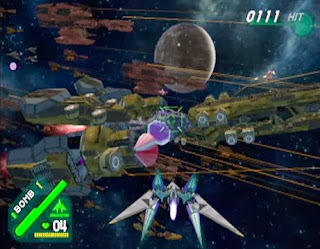 The latter is a bit annoying, as only players who will delve into Star Fox: Assault's multiplayer for the long haul will most likely see every unlockable there is in this mode. The multiplayer offers flight and/or ground-based combat with a wealth of options. With all of the havoc and carnage that happens in the various missions of Assault, it's amazing that the frame-rate holds up so consistently. 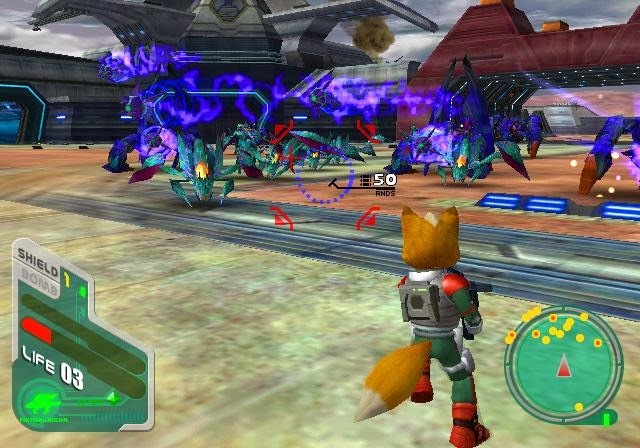 It's just unfortunate that Star Fox: Assault does not look better graphically than it does, as Star Fox Adventures looks more impressive and that game was older than Assault by four years. When it comes to sound, some of the voice acting comes off as major cheese, and not in a good way like Star Fox 64. Still, the majority of the voice work is absolutely serviceable and not very grating overall. The soundtrack is simply put-- glorious. It features plenty of classic Star Fox themes as well as plenty of new compositions, most of which are performed by a full orchestra. It was music (and awesomeness) to my ears. As a game in general, Star Fox: Assault is an enjoyable experience. As a Star Fox game, Assault features exceptional flight-based missions and passable but disappointing ground missions. All in all it's a shot that just missed its mark. If it were a bogey taking aim at the Star Fox crew, it wouldn't have even put Slippy Toad out of commission. 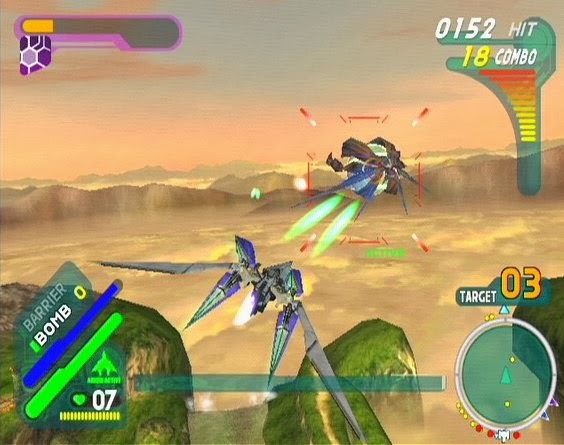 Still, that notwithstanding, you can do (and Namco could have done) a lot worse than Star Fox: Assault. Welcome to Monday here at SuperPhillip Central. It's time once more for SuperPhillip Central's Favorite VGM, celebrating the best and loveliest of video game music. Our list is 500 songs strong, and we have no signs of stopping. This week we have music from Sonic & the Black Knight, Perfect Dark, and Chrono Trigger. 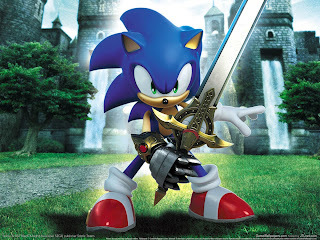 Many Sonic the Hedgehog fans argue till the cows come home on whether Jun Senoue's influence on the music of the series was a good thing or a bad thing. If you're not into cheesy rock, then you probably care for it. We happen to like both the modern music and Senoue's offerings. 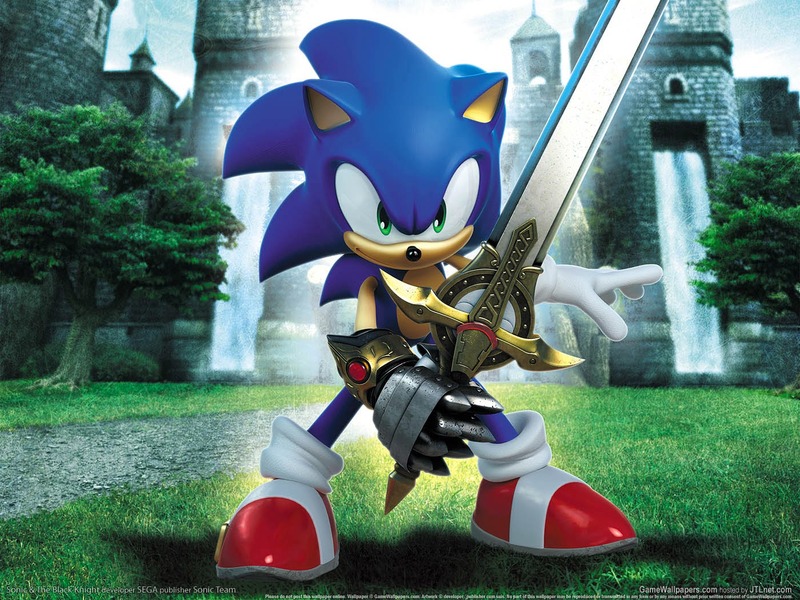 Sonic & the Black Knight's soundtrack is one of those, and this is the main theme of the game, Knight of the Wind. Used in both Rune Factory: Frontier and Tides of Destiny, Trampoli Square is a peaceful song complemented by wonderful woodwinds and gently flowing piano. While the actual games were disappointments, the soundtracks remain great to listen to. 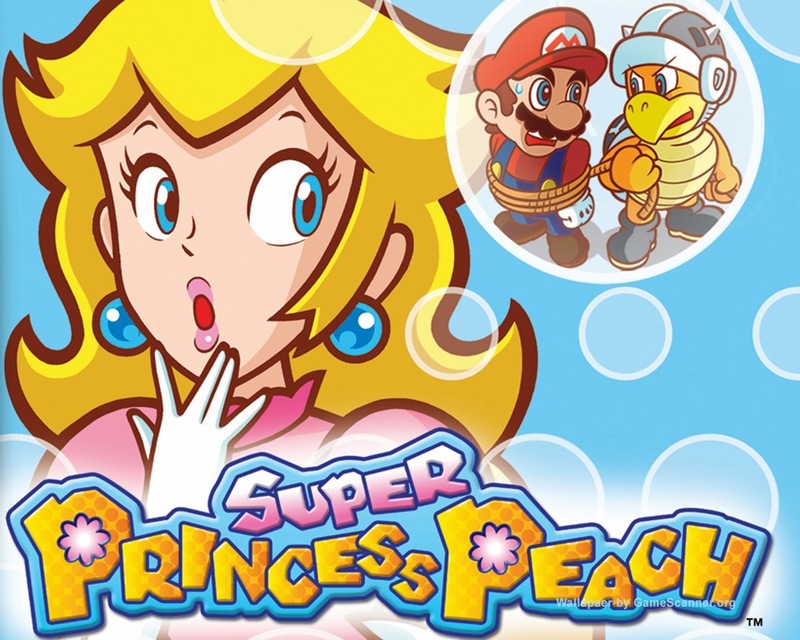 Super Princess Peach had a novel idea-- take the familiar plots of the Super Mario Bros. series and invert them. Now, Princess Peach is the heroine on a journey to rescue the captured Mario Bros. The music of the game was suitably upbeat and cheery, perfect for a saunter through the colorful worlds of Super Princess Peach. From a light heroine to a darker one, Joanna Dark's sci-fi escapades as a special agent in Perfect Dark made for hot and heavy action. It is one of SuperPhillip's favorite shooters of all time. The soundtrack, too, is incredible, really pushing the capabilities of the Nintendo 64's sound chip. 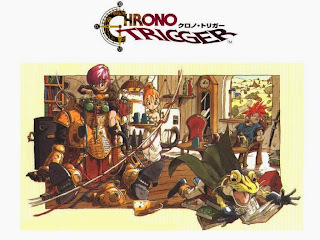 Can you believe it has been 524 game themes without a nominee from Chrono Trigger? Well, we have fixed this with VGM 525. The lead composer of Chrono Trigger, Yasunori Mitsuda, felt immense pressure composing all of the music by himself. The situation got so stressful that Mitsuda-san suffered an ulcer. Thankfully his coworker and friend Nobuo Uematsu of Final Fantasy fame stepped in to help complete the soundtrack.